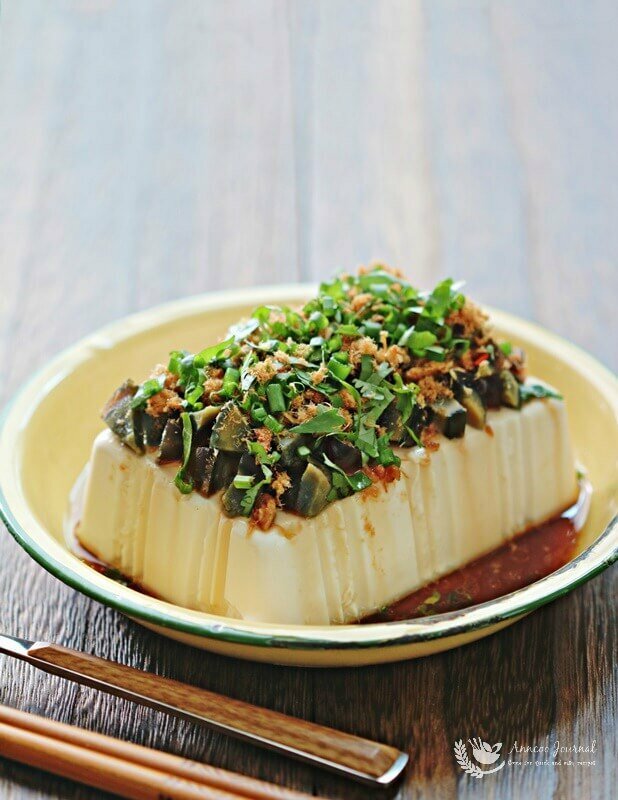 This Chilled tofu with century egg and pork floss is a a regular comfort dish on our dining table, more often in this hot and humid weather. 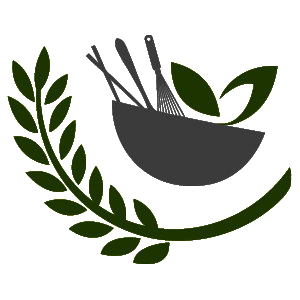 It is a very easy, refreshing, simple, quick yet delicious and nutritious dish with absolutely no cooking required. So easy that even a lazy mom can do it. Not only can this cold appetizer be served as a starter, it can also be enjoyed on its own and with rice too. This cold appetizer be served as a starter, it can also be enjoyed on its own and with rice too. Place tofu on a serving plate and chill for at least one hour. 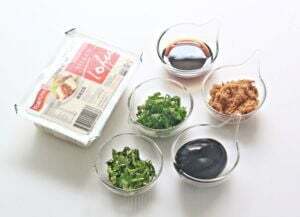 Combine light soy sauce and sesame oil together. 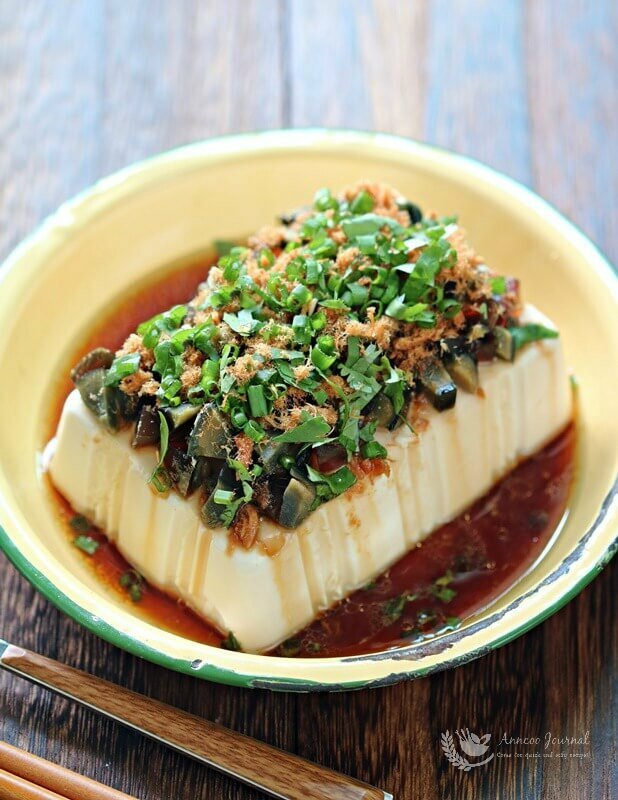 Take the tofu out from the fridge and drain excess water. 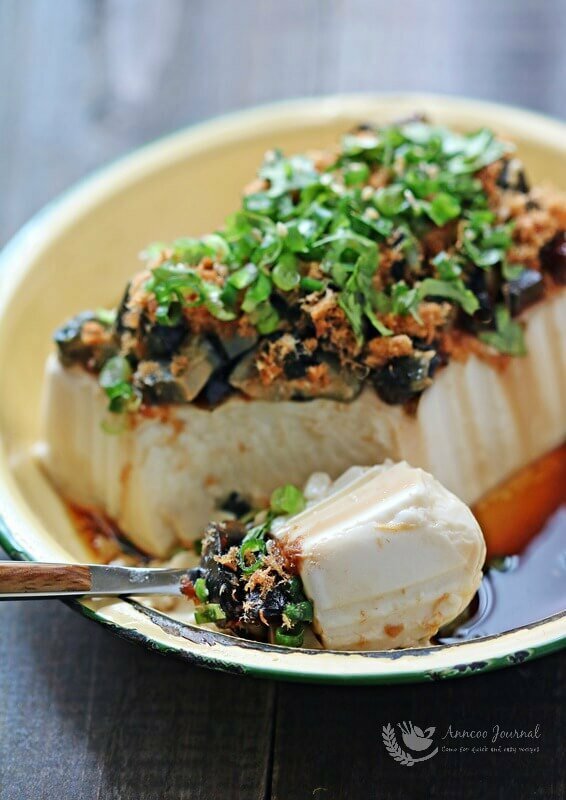 Cut century egg to small pieces and place on top of tofu, followed by 2 - 3 tablespoons of light soy sauce mixture. Lastly garnish with pork floss, spring onion and coriander leaves on top. Serve immediately. This looks so appetising. Extremely suitable in this hot, crazy weather! How very appetizing! I could eat this the whole summer long!